The Bitcoin market has never been stronger and despite pressures from a number of countries like Russia and the US to strictly regulate and refuse to recognize the cryptocurrency, Bitcoin’s value has soared. In fact, the Bitcoin price soared to a record high of $1,800 earlier this month, although some reports are suggesting that it is beginning to slip slightly. People are beginning to worry about the blockchain disrupting trade finance, but with the rise in value we could see Bitcoin becoming a more stable digital currency. With Bitcoin prices having increased by around 81% since the start of 2017 the market is showing some serious strength. Here, we’re taking a look at why the Bitcoin market is reaching such an extensive high. One of the main factors behind the sudden surge in price on Tuesday 9th May was the comments made from the President of the Minneapolis Federal Reserve, Neel Kashkari, about the blockchain technology as a whole. He stated that the technology is more interesting and has more potential than Bitcoin itself. His comments are beginning to be a pinnacle in the industry and is marking yet another influential policy maker who is warming up to the technology. After his comments, the Bitcoin actually rose by 6%. The internet is a huge source of information on a number of topics, but very slowly a number of major news sources and social media channels are beginning to focus on the Bitcoin currency. This has led to a growing interest in the digital currency, as people are able to understand more about how the Bitcoin can benefit them. 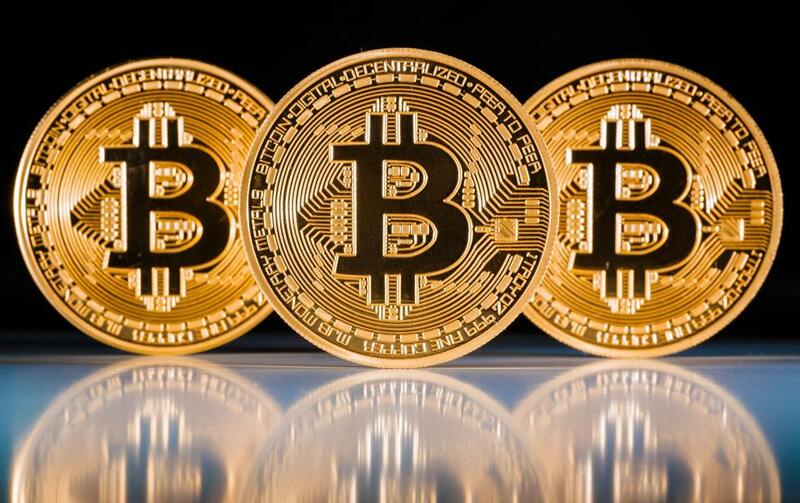 This is not only through general information, but also with informative sites like Bitcoin Casino Pro who provide in-depth reviews on Bitcoin casinos – which are one of the main things that people spend their Bitcoins on due to their anonymity and fast transaction speeds. The more people understand the value of the Bitcoin and what they are used for, the more people will turn to invest in the digital currency, further boosting its market value. Back in November 2015, there was a surge in the value of the Bitcoin which was influenced largely due to China’s currency devaluation. The devaluation took place in order to help mitigate any inevitable capital outflows and stabilize the economy. While China generally ban the Bitcoin currency, all it would take was a number of Chinese citizens to invest in the Bitcoin, even by just a small fraction for the crypto currency to bubble into another all-time high. Speculation of this was quickly confirmed when reports suggested that Bitcoin price was influenced mainly by Chinese exchanges back in 2015 and this could have had an impact in the rise in the Bitcoin value that we have seen throughout 2017 too. However, China has also begun to clamp down on the Bitcoin, and looking to ban or at the very least strictly regulate the currency – both for trading and the exchanges themselves. In fact, China’s Central Bank has even warned investors against looking to the currency. While at first glance this may seem like a negative suggestion, the scrutiny that China is putting on the crypto currency (which is similar to Russia’s current stance) could lead to stricter regulations, further helping to steady the market. A more stable Bitcoin market means a potential gateway for investments which will ultimately boost the value of the Bitcoin. A major influential factor was the recent decision by the Japanese government to legalize the cryptocurrency, and recognize it as a payment method. This led to more Bitcoins being purchased with yen which has led to a major support network for the cryptocurrency. Alongside the legalization of the Bitcoin in the country, a number of regulations are set to be implemented in order to provide users with a lot more security when it comes to using the technology. This is generally due to the concerns about illegal activities using the pseudo-anonymous crypto currency such as money laundering. However, amendments to the Banking Act and the addition of section 3, which is tentatively being referred to as the ‘Virtual Currency Act’, it is highly likely to see a number of regulations. For example, Bitcoin is classified as an asset, and so any profits from Bitcoin trading will be subject to capital gains tax in the country, but will no longer be subject to consumption tax, which lies at 8 per cent in Japan. Digital exchanges in the country will also have a number of required regulations, including the minimum capital that they need to hold being 10 million yen. According to the new law, the exchanges will also need to possess an IT system management program which is sufficient enough to protect against issues such as leakage, or loss and damage to any personal funds which the exchanges may hold. In order to protect the users of the exchanges even more, exchanges must also disclose trading name and address, registration number, transaction content, and all fees and costs to their users, showing just how much more secure the Bitcoin and digital currency exchanges are set to be for their users. This legalisation alone has led to a surge in interest in the crypto currency, with more people seeing Bitcoin as a reliable and regulated digital currency, causing asset managers to jump into the market. With the rise in value of the Bitcoin and the increased investor attention, there have been a number of internal developments that are in the process of being carried out in order to help ensure that the Bitcoin maintains its promises of flawless security and usage. One of the initial developments that could potentially be carried out include a way to scale up the system in order to allow it to handle many more transactions. The implementation of the Segregated Witness (SegWit) on the Bitcoin clone currency LiteCoin is an initial step towards this development, meaning we could see much more improvement in the future. If this can be successfully deployed, we are likely to see a huge increase in the value of the Bitcoin in the near future. While there are a number of pros and cons of the Bitcoin, these internal developments could prove a vital step towards market stabilisation. Back in March, The US Securities and Exchange Commission rejected a proposal from the Winklevoss twins, who were looking at a Bitcoin exchange traded fund. Nevertheless, the SEC are considering reviewing this rejection, which could see a further interest from investors in the near future as more developments begin to come to light with the crypto currency. With figures like the Winklevoss twins looking to push Bitcoin into the mainstream, we may see that the rise in value of the Bitcoin isn’t just a temporary thing, and we may begin to see the generally rocky market begin to stabilize with more regulation.